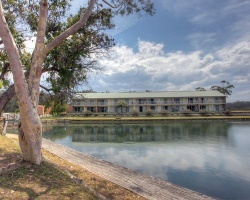 *The Moorings* resorts at Tomakin on the NSW South Coast has luxury resort apartments. With many attractions and activities at The Moorings, as well as being central to the major tourist attractions of the New South Wales South Coast, it is an ideal resort for your holidays. Apartments are available in three styles: Standard, Supreme and Deluxe. Standard apartments are the original units constructed at The Moorings and are self-contained with microwave oven and access to on-site laundry facilities. The next 12 units built at the Moorings are the fully self-contained Supreme apartments which include a washing machine and dryer. All the newer units are Deluxe apartment which are fully self-contained, luxury accommodations with all the features of the Supreme apartments plus the addition of a dishwasher and spa bath. 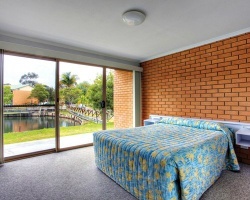 The apartments sleep up to six people and are ideal for a family getaway! 2 floating, red season weeks every year! What a bargain!